If you have spent any time on the old internet researching jewelry worn by nobility, you have surely come across The Court Jeweller. Ella Kay, the American voice behind the wildly popular blog, has been a go-to authority for years. Press ranging from the BBC, People and The New York Post have asked for her opinion on various royal issues. Get to know her better in our interview below and be sure to follow her on Twitter for insightful coverage. Ella’s real time reporting on the social media channel includes astute opinions about the royal family and answers to royal watchers’ questions. 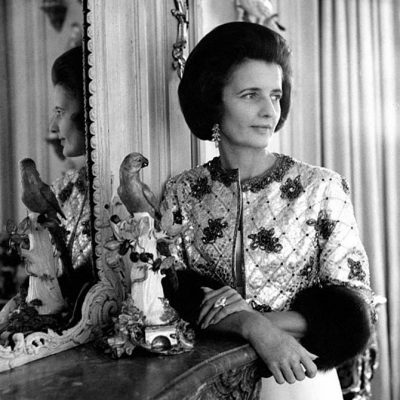 I have always thought my area of expertise – the history of jewelry and contemporary jewelry design – was niche until I came across your fantastic blog devoted to jewelry worn by royalty exclusively. 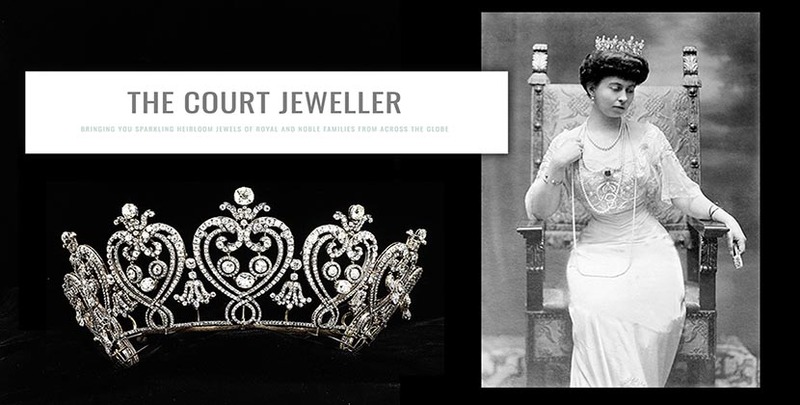 What inspired you to launch The Court Jeweller in 2014? I’ve always loved jewelry and history, and I’ve been interested in royalty since I was a teenager. The topics all came together in 2004, when I studied abroad in London. One of my favorite places was the Victoria & Albert Museum – which, conveniently for a broke American college student, was free! – and I spent lots of time in their amazing jewelry galleries, marveling at the historical pieces. 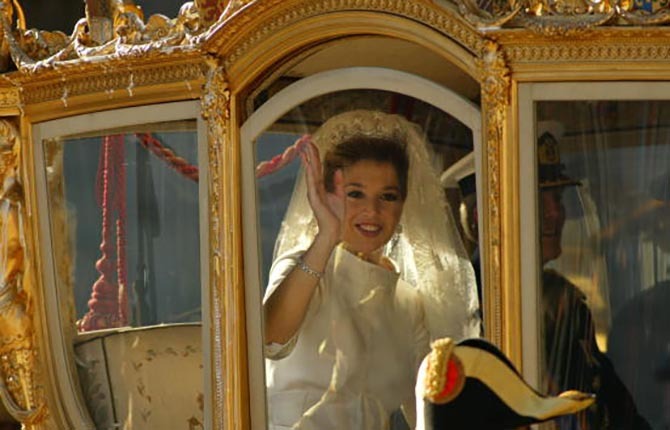 I began blogging about royalty as a hobby, and when my posts about royal jewelry became some of the most popular pieces, I decided to focus on a blog just about royal and historical jewelry. The comments on your posts reveal you have a loyal and engaged following. What can you tell me about The Court Jeweller’s community? I’m really lucky to have a very engaged, intelligent group of readers, many of whom are kind enough to share their knowledge and opinions regularly in the blog’s comment section. They tend to love historical pieces more than contemporary jewels, but mostly they love interesting items that have great stories, just like I do. You live in the United States, but I had assumed you were English just by the way you spell “Jeweller.” What can you tell me about yourself beyond your love of royal jewelry? 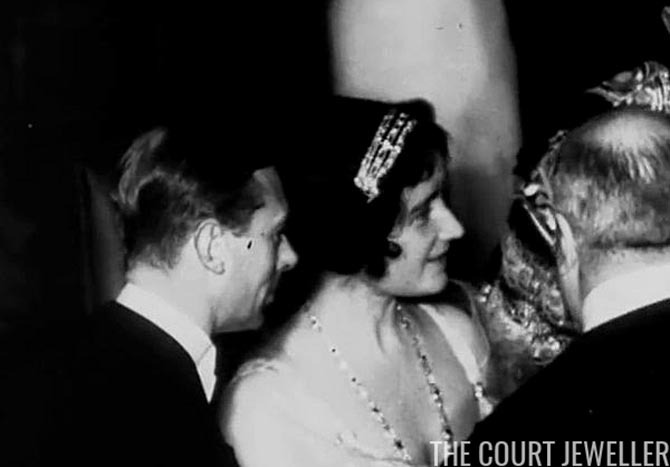 I chose to spell the title of my blog as “The Court Jeweller” simply because we don’t have court jewelers in the United States—so a British spelling seemed more appropriate. I grew up in the Midwest, and I currently live and work in St. Louis. 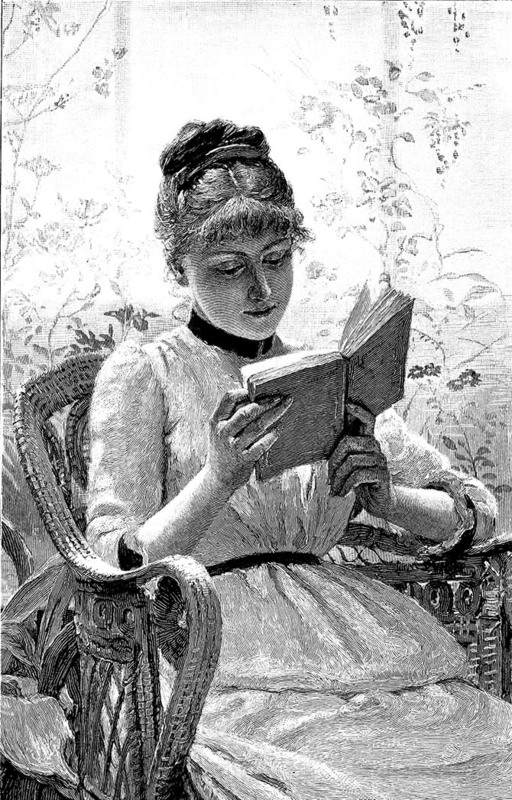 I have a background in academia – my PhD is in Victorian literature, with a focus on popular novels – and I taught college kids for a decade before leaving to start my own career in freelance writing. I recently got engaged, and my fiancé and I are planning to get married next year, so my readers will probably see me focusing quite a bit on wedding jewelry in the coming months. And my most fun trivia fact is probably that I recently taped an appearance on Jeopardy, which airs on July 6! So much of royal jewelry coverage charts what was worn on an occasion. I even notice that in coverage of the Duchess of Cambridge’s contemporary jewelry. Can you tell me a little about the traditions and editorial angle of royal jewelry coverage? 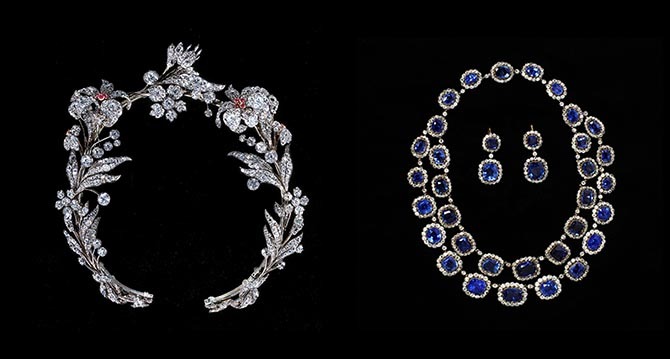 Lots of royal jewelry coverage has to take into account the context of the occasion for which it was worn, because lots of royal jewelry conveys important symbolism: family connections, links to various countries and patriotic imagery, etc. The Queen, for example, has a flower basket brooch that was given to her by her parents to mark the birth of Prince Charles, so you’ll often see her wear the brooch on connected events – like the christening of Prince George. 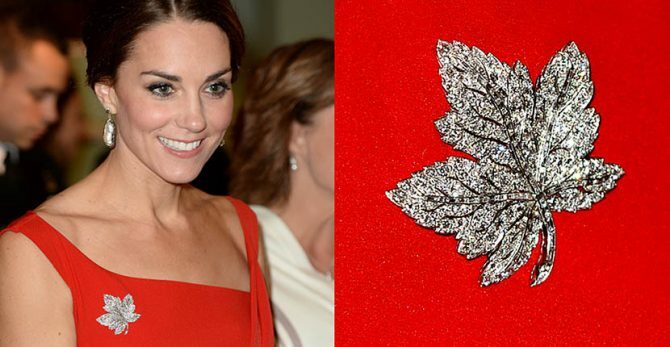 Royal women, including the Duchess of Cambridge, often wear the Queen Mother’s Diamond Maple Leaf Brooch on trips to Canada, because the brooch pays tribute to one of the country’s most important national symbols. Beyond the beauty of the pieces themselves, there’s almost always a message being sent by the jewels that are chosen. Beyond the Queen, who is your favorite royal to watch for great jewelry and why? The most innovative, exciting royal jewelry wearer today is undoubtedly Queen Maxima of the Netherlands, who has access to an extensive historical vault and uses pieces in fascinating ways. She takes chances with her clothing and with her jewelry, which is extremely fun for a writer like me. Sometimes it seems royals just pile jewelry on sort of willy-nilly. Is there a method or certain style to wearing so much at once? There’s usually a method to the madness. 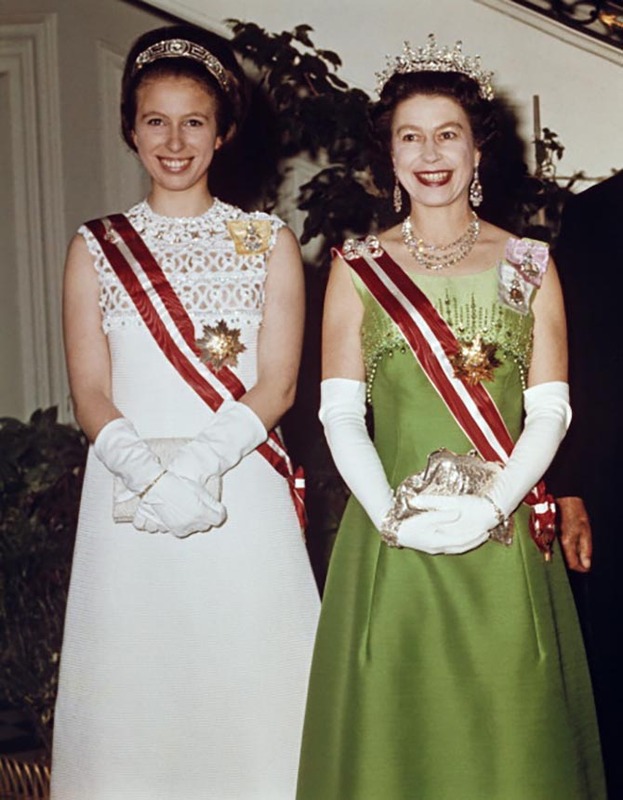 In general, the “piled on” effect happens at events like state banquets, when royal women also have to navigate the world of chivalric orders, pairing various insignia with their personal and historic jewelry. There are strict rules about which orders should be worn, and when, and those non-negotiable ornaments occasionally clash with the personal jewelry they have available to them. Your ideas on the tiaras Meghan Markle might wear—the Strathmore Rose Tiara and the Cartier Bandeau—are super chic and both have been out of the public eye for some time. Can you tell me what made you think of these jewels for Meghan? In general, I always hope that royal women will dig pieces out of the vaults that we haven’t seen in a while, and both of those tiaras fall into that category. There also simply aren’t a lot of historical tiaras in the British royal vaults that aren’t currently being worn by other members of the family, so the pickings are a little slim at this point. However, I think the Cartier Bandeau would fit seamlessly with Meghan’s own sleek jewelry style. And the Strathmore Rose is just a classic floral tiara that would really emphasize her new royal status. 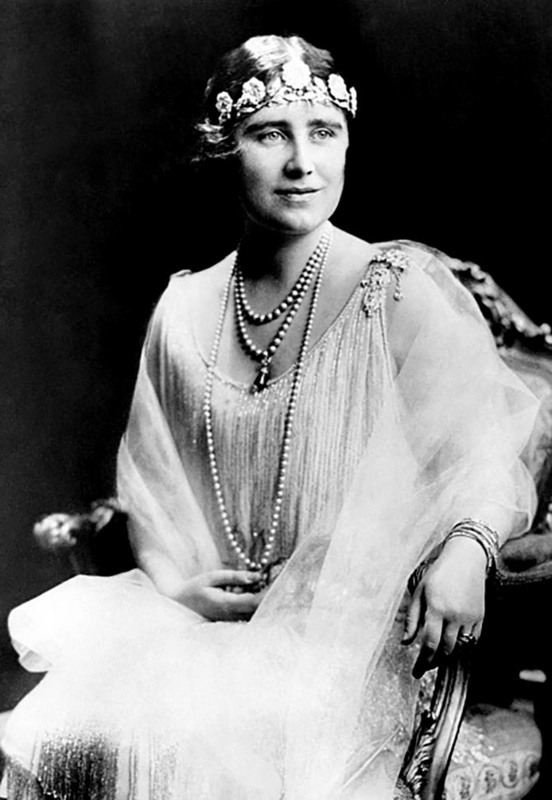 Both would also pay tribute to the late Queen Mother, one of the figures who helped shape the modern royal family. Some English jewelry experts have rather shockingly suggested Meghan may not wear a tiara. Do you think there is any chance Meghan may not wear a tiara? Nearly every British royal bride since the 1930s has worn a tiara, but I do think there’s a chance she may not wear one. I also think it’s possible that she could choose another type of jeweled hair ornament, like the antique diamond brooches that Princess Charlene of Monaco wore on her wedding day. 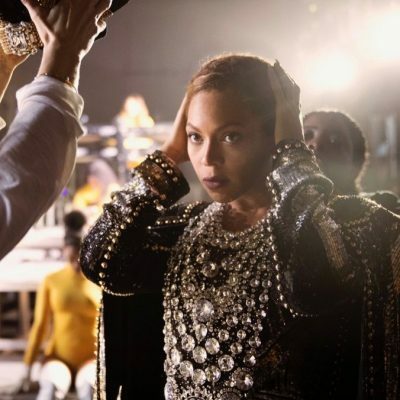 My current guess is that she will wear a tiara, perhaps one purchased specifically for her by Prince Charles, who is an enthusiastic jewelry-buyer. But ask me tomorrow, and I might have a different prediction!